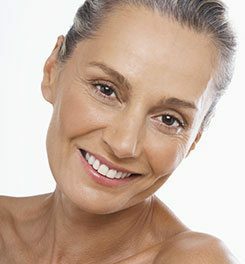 As part of the natural ageing process, the face and neck start to sag between the age of 40 and 60. 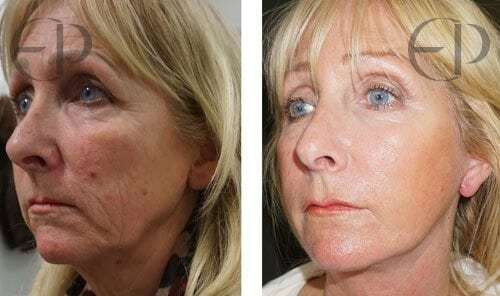 With the skin losing its natural elasticity, the soft tissues start to descend and the mid-face loses volume. 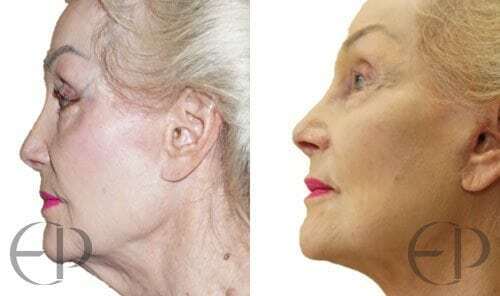 Cheekbones can become less angular, lines around the mouth and nose start to deepen, and the normal heart-shaped characteristics of the face beings to turn squarer. In the eye area, brows start to droop a little, with the skin of the eyelids succumbing to the pull of gravity. 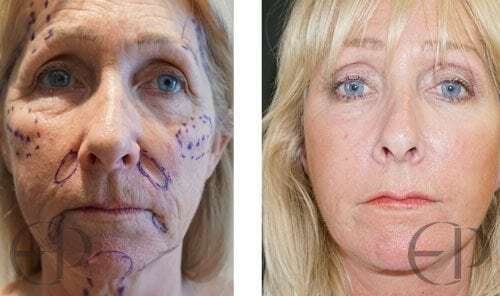 How can facelift surgery help? 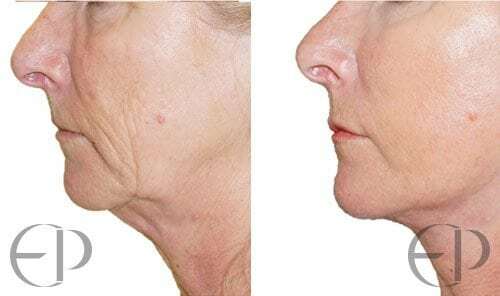 A skilled facelift surgeon can rejuvenate your face and neck, replacing the signs of ageing with taut skin, a youthful complexion, and the restoration of natural angularity. 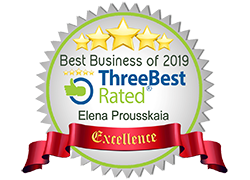 In particular, Elena’s approach to these procedures is to emphasise a completely natural look above all, avoiding any impression that you’ve been operated on or that the resulting skin has an overly taut appearance. Excess skin will be removed and underlying tissues, such as muscles and fascia, will be tightened and reshaped. The incisions will be discretely positioned and the resulting scars well hidden. 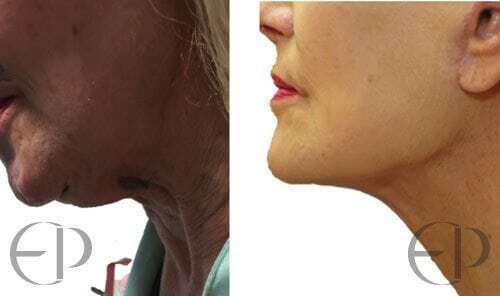 Often done as part of a facelift procedure, necklift surgery aims to remedy loose skin around the neck. Some people are unhappy with what are called neck bands: an age-related condition that begins to appear when the platysma muscle becomes thick and cord-like, resulting in the appearance of bands across the front of the neck. 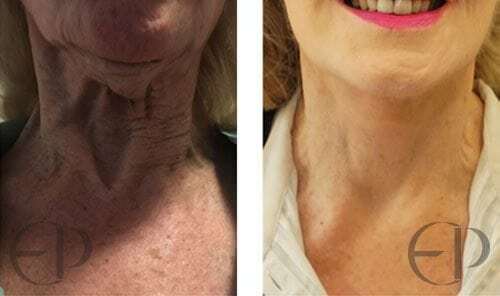 Necklift surgery can make a huge difference to these issues, uses a combination of liposuction, suspension stitches and incision to trim excess neck skin. The process of lifting up the eyebrows, sometimes to help smooth out the horizontal expression lines that come with age, is known as an eyebrow lift. 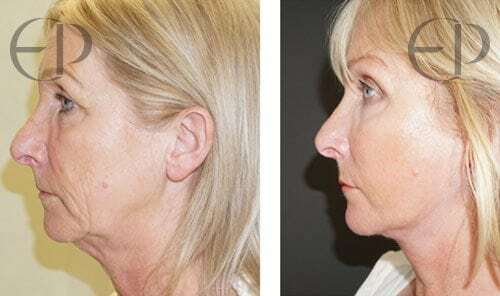 Again this procedure is often done as part of an overall rejuvenation package. 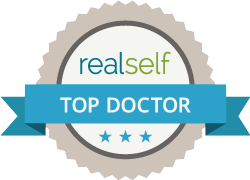 Why choose the Elena Prousskaia Clinic for Your Cosmetic Surgery? 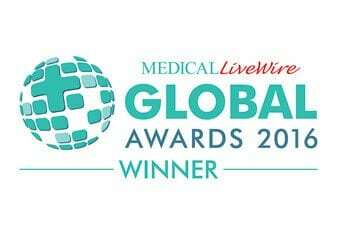 Based in the world famous McIndoe Surgical Centre, Elena’s clinic has built a reputation for professionalism, a superb quality of work and exemplary aftercare. 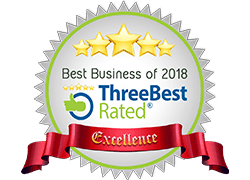 From the moment you first come and see us to discuss the potential of having a cosmetic surgery procedure carried out, we’ll make you feel at home. Ensuring your know exactly what’s going to happen, how it will affect your life, and how best to take care of yourself during the period after the procedure is a critical part of our service of care.